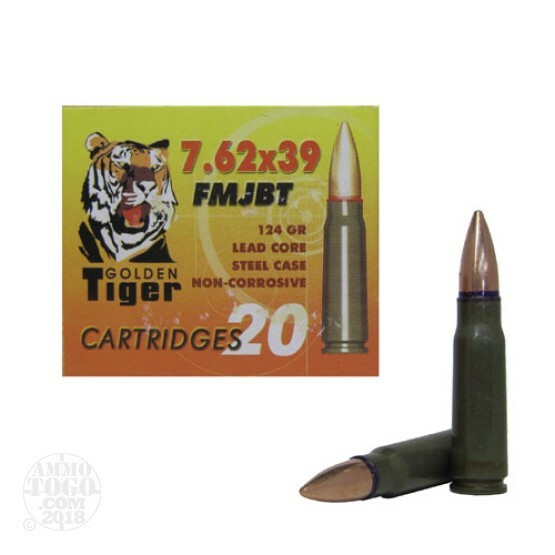 This is 7.62 x 39 Golden Tiger 124gr Full Metal Jacket. This ammo is current production, manufactured in Russia. The ammo is steel cased and non corrosive. This ammo comes in 20rd boxes and 1000rds to a case.